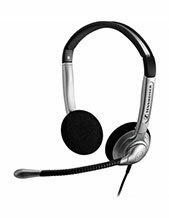 Dual Boom Transmit Headset is specifically designed for Emergency services / dispatching like Taxi, Logistics, Truck Freight, etc . 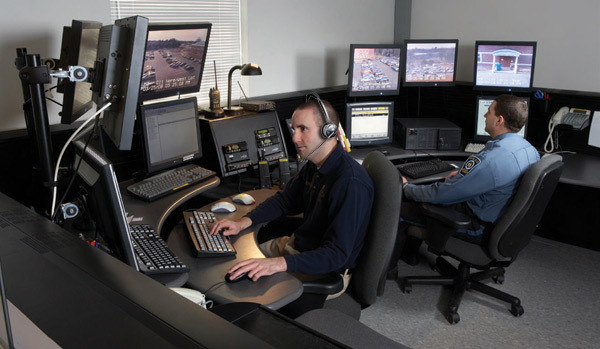 "This unique Dual Headset allows the operator to handle two simultaneous calls." Required interface: Additional - Acoustic Protected Amplifier (meets G616 standard) will be required. 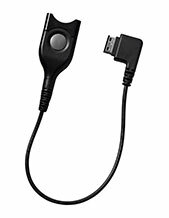 Quick Disconnect cord lets users walk away from their phones without removing headset. 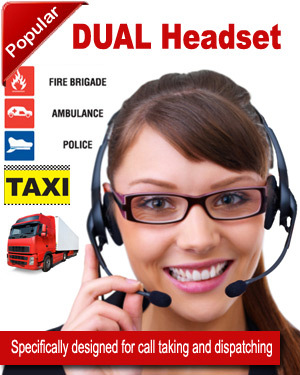 Used by over 300 Emergency call takers Australia wide. Emergency centres such as Police, Fire, and Ambulance. Also this unique “Dual Boom Transmit Headset” is perfect for Transport i.e. TNT, Linfox, courier companies, Taxi and other industries where dispatching is used. 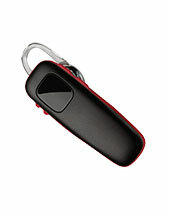 The digital amplifier adapter delivers unsurpassed acoustic protection and exceptional sound quality. With SoundGuard DIGITAL technology, daily noise exposure is monitored and controlled in-line that meets the requirements of G616, whilst loud sounds are identified and eliminated. Call Clarity DIGITAL enhances sound quality, with automatic volume levelling, selective frequency-response shaping and phone-noise reduction.